On Friday, I decided that after a Saturday grad school seminar, I’d tag along with a couple of friends that had planned a camping trip. I just wanted a quick change of scenery and that’s exactly what I got. I drove about 2.5 hours to Weatherly, PA (Poconos region) where I spent Saturday night roasting by a campfire, drinking beer, playing Heads Up, and just living. I wasn’t in front of a computer. I wasn’t checking off a to-do list. I was lounging in a camp chair just a few feet from a lake in the middle of the woods. 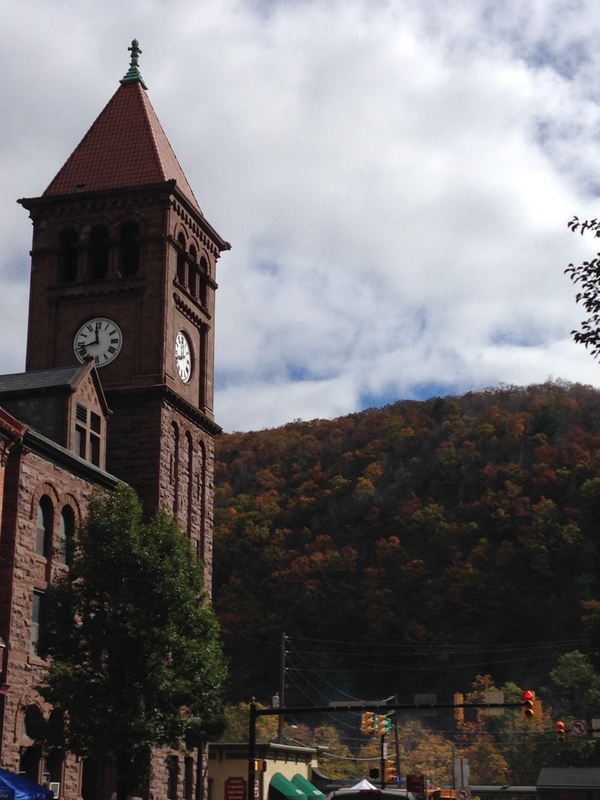 On Saturday we woke up, the boys packed up and went home early and the ladies stayed to have brunch in a town near by, Jim Thorpe. What a beautiful little town surrounded by mountains; I fell in love! It was an incredible few hours. 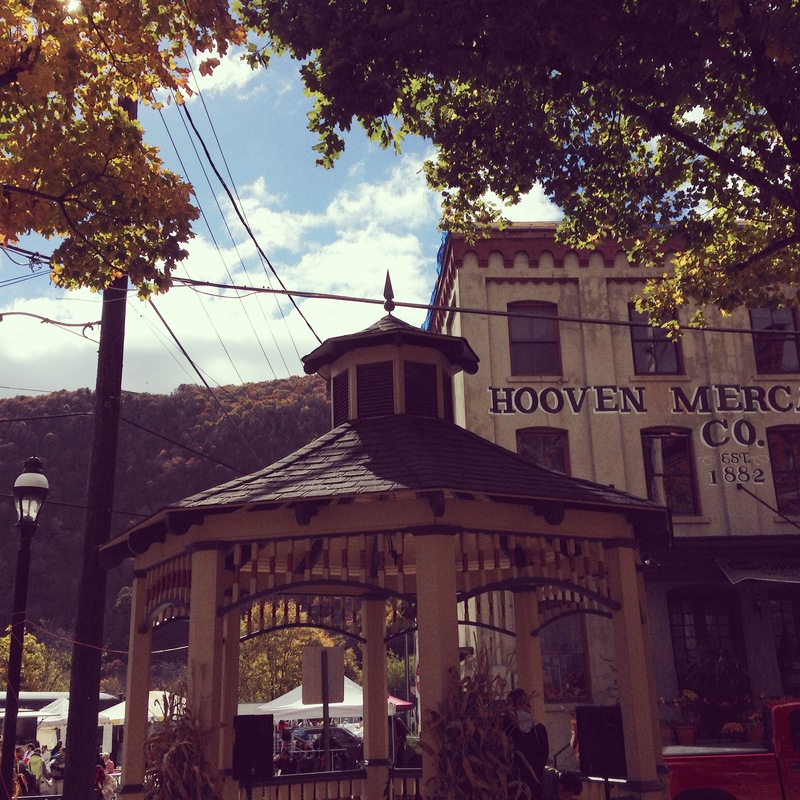 Dubbed the “Switzerland of America” Jim Thorpe’s full of cute little shops AND (what are the chances) a Fall/Oktoberfest festival. I had such an amazing time and now I dream of a vacation home there. I want a vacation home everywhere! Remember when I went to Newport? I want an apt or home there too! The owner of the over 625 acre land (which took him over 25 years to acquire) is looking to sell the property and build homes. Maybe that’s where I’ll buy in the future; I should probs hit the lottery first though right?